Thought you might like to know that Ed Helms will be on ESPN Classic's Cheap Seats next Wednesday, April 7th! That's like my new favoritest show EVER! I love that show! When Stewart turns it over to a correspondent for a feature, we are treated to a fake backdrop and a quirky take on a news event or trend. 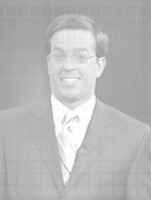 One of my personal favorites is Ed Helms' "Digital Watch," a recurring segment in which Helms makes fun of technology and people's obsession with new gadgets. On one particular "Digital Watch" segment, Helms pokes fun at the impracticality of digital cameras. He tells his audience, "You're gonna need a new printer. Kind of a specialty item -- runs about $500, not including the high-gloss photo paper, which goes for another $40 a pack. Now, you may be wondering why you want to pay that much when traditional photo developments only cost a few bucks. But don't forget, with digital photos, you also get to do all the work yourself, AND they don't look as good. It's really quite a pain ... !" "The guy playing the sax looks like Ed Helms from TDS"
hiding a secret that would explain why Coors Light always tastes cold. It looks like there was a scene where Leif Garrett totaled the family car by running it over a cliff. According to what I've read about these films, the films have something to do with saving money, and you can see that by their choice of faygo cola (see the ironing board in the photo). I mean you can get a 24 oz bottle of fago at the local gas staion for $.69. On Sunday night, I got a chance to see the regional premier of the new Rob Corddry film, "Blackballed: The Bobby Dukes Story". It's a mockumentary about the comeback of a paintball champion who got a ten year suspension for wiping off paint during competition. It was very, very funny -- Ed Helms has a short cameo as one of Bobby's old teammates, but the rest of the cast wasn't too familiar. The screening on Sunday was great, with Rob, the director, and a lot of the cast there doing a Q&A afterwards. They shot this mostly over five weekends, working around the Daily Show schedule, and about 90% of the dialog is improvised. Ed played someone that looked a lot like Ed, but in a kayak. It's part of a sequence where Bobby goes to look for his old teammates, all who refuse to play paintball again. Ed says something very funny AND offensive, but it's pretty short setup, maybe a couple of minutes. BT: Do Ed Helms or Stephen Colbert have any distinguishing characteristics that help you tell them apart? Who's hotter, anyway? RC: Ed's hot, that's for sure, but Colbert has a rippling stiffness; a harsh rigidity that is as off-putting as it is rigorously sexual. He's an onion-skin of a human being stretched over a profound black abyss and that's the buzz I'm always looking for. I can tell them apart because Colbert is always breast-feeding a doll. Ed e-mailed me yesterday afternoon to say that the shows planned in Baltimore next month had been postponed due to scheduling reasons. He told me that he's trying to reschedule with them to do a May show. I was probably the only person they had to refund money to. They had just started to sell the tickets last week. Pictures Whatnot taken down. Yup, did that last night too. I shouldn't of put those up there.The rest of the whatnot section is going to stay though. I think there are some great links on there. Originally when I made this site in 2002, it was just going to be a screen captures/magazine pictures/synopsis/lets make fun of some look-a-likes/and lets put up some wallpaper site. I'm going to try to go back to that. Oh, and those wallpapers? They look like crap on a laptop. Sorry. Laptops have good resolution, and the computer I used to make them doesn't. Sorry. So...a friend and I are going to see Ed perform at the Baltimore Improv in April. Should be a lot of fun. I think its funny when Comedy Central shows ads with Ed's voice in them during Daily Show. They've done it the past two nights. And I remember clicking on the link for it, and the article said that Ed did an interview with someone, and during the interview, he gave a cookie to this guy who leaked secrets about Nuclear weapons, and I think the cookie was a black and white cookie.